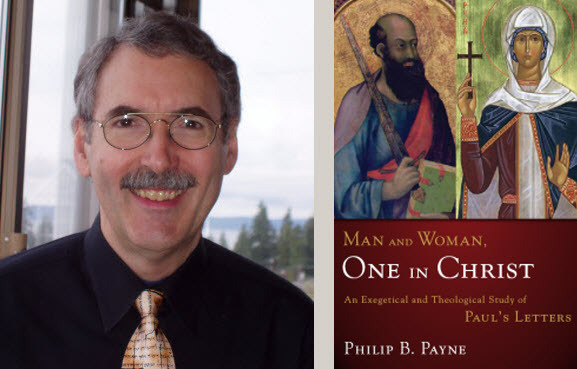 Philip B. Payne Philip B. Payne - Here I answer questions about my new book "Man and Woman, One in Christ" and provide its complete Bibliography and Supplemental Studies. The NTS web site also lists this article as already having reached a media ranking of 19. There is only one issue in New Testament Studies in the past ten years for which the sum of the media rankings of all the articles in that issue (up to 10 articles) combined is higher than the media ranking of this one article. My latest article in New Testament Studies has been extensively discussed in mainline and academic media following a major article about it in The Telegraph Sept. 17 by Olivia Rudgard, Social and Religious Affairs Correspondent, “Bible passage used to stop women become ordained ‘added later’, academic claims” (see link below). I am delighted to make available a summary of Six Groundbreaking Discoveries detailed in “Vaticanus Distigme-obelos Symbols Marking Added Text, Including 1 Corinthians 14.34–5” New Testament Studies 63.4 (2017) 604-625. This summary also contains links to 25 publications by me that are posted on the Christians for Biblical Equality web site, www.cbeinternational.org. This summary and the full NTS article with twelve color photographs are also available for free download at www.pbpayne.com: Publications: Articles. I am delighted that New Testament Studies 63 (2017) 604-625 is publishing my study, “Vaticanus Distigme-obelos Symbols Marking Added Text, Including 1 Corinthians 14.34–5” with twelve colour photographs, downloadable free in September 2017 from https://www.cambridge.org/core/journals/new-testament-studies/open-access. Downloads are free since Christians for Biblical Equality paid to make it an Open Access article permitting unrestricted re-use, distribution, and reproduction in any medium, provided the original work is properly cited. Attached is a supplement to that article giving the chi-square standard probability test data confirming that the eight bars with characteristic features in Vaticanus are not simply paragraph marks, but obeloi marking blocks of added text. Six groundbreaking discoveries in this study are summarized at cbe.today/Vaticanus. We found and removed the invisible content inserted into pbpayne.com in order to boost another site’s Google ranking. We regenerated the whole site with the lastest version of Word Press to increase security. Google has reindexed pbpayne.com and found no security issues. I have just learned that next week the eBook version of Man and Woman, One in Christ will be on sale Nov 17 – 24 at 11:59 pm ET, at all major eBook retailers (Amazon, Barnes & Noble, CBD.com, etc.). For instance, it is 25% off, to $14.99, at http://bit.ly/1MAr0za Enjoy the savings!